This volume in the Handbook series addresses issues relevant to 21st-century teenagers. It covers serious issues in a friendly tone and appropriate manner. Used alone or with the Handbook for Today's Catholic Teen Activity Notebook, it's the perfect guide on the journey to Catholic Christian adulthood. 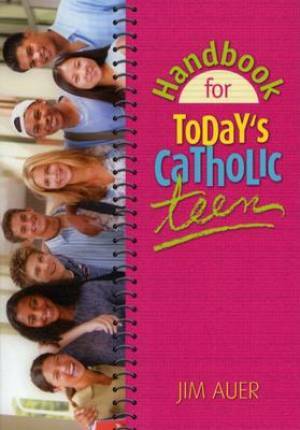 Handbook for Today's Catholic Teen by Jim Auer was published by Liguori Publications,U.S. in September 2003 and is our 28670th best seller. The ISBN for Handbook for Today's Catholic Teen is 9780764811739. Be the first to review Handbook for Today's Catholic Teen! Got a question? No problem! Just click here to ask us about Handbook for Today's Catholic Teen.